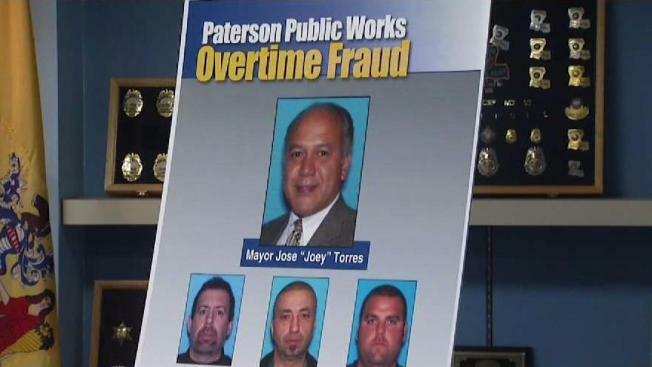 Criminal investigators are looking into whether Paterson Mayor Jose “Joey” Torres improperly used a city electrical contractor to do thousands of dollars of work on a private beer business tied to the mayor’s relatives, sources familiar with the investigation tell NBC 4 New York's I-Team. Jonathan Dienst reports. Criminal investigators are looking into whether Paterson Mayor Jose “Joey” Torres improperly used a city electrical contractor to do thousands of dollars of work on a private beer business tied to the mayor’s relatives, sources familiar with the investigation tell NBC 4 New York's I-Team. Documents obtained by the I-Team show J&J Electric proposed doing at least $15,000 in taxpayer-funded work at the East 15th Street business -- a business that was in the name of the mayor’s daughter and a nephew. Several individuals familiar with the project said the total electrical work done approached $40,000. The owners of J&J Electric declined to comment on who directly solicited the work, whether it was the mayor or city Department of Public Works employees or someone else. One of J&J’s owner, Gerald Vella, said only that he did not want to cause more problems for the embattled Torres. The mayor has already been indicted for allegedly ordering DPW workers to do construction at the site at taxpayer expense. Records obtained by the I-Team show several workers billed overtime to the city on the days in question. The mayor and three DPW workers charged in that overtime fraud case have pleaded not guilty to various charges, including theft and misconduct. Paterson’s mayor is facing more corruption allegations – this time from a major developer accusing the mayor and his relatives of committing a kind of “identity theft.” Jonathan Dienst reports. The possibility that a city contractor -- J&J Electric -- was also called in raises new questions about just how much taxpayers paid or were going to pay for the private job. Torres, through his attorney John Azzerello, denied he ever told J&J workers the beer project was a city job. He also denied that money from the city’s contracts with J&J would cover the cost of J&J’s electrical work. But developer Charles Florio said J&J’s owner told him the company was called in by city officials for a "city job." Florio said Vella told him midway through the project that he had learned the work was for a private beer store. But Florio said the contractor kept doing the work. “He (Vella) couldn’t tell the mayor no … You are going to do this or you are going to lose your contract,” Florio said. J&J has had more than $300,000 in contracts with Paterson in recent years. The amount was first reported by the Paterson Press. Florio said he learned of the alleged corruption at the proposed beer store site after the mayor, his relatives and DPW workers improperly used his own company’s information to "pull permits" instead of hiring a general contractor. “They stole my information,” Florio said, adding that J&J was then listed as a subcontractor. Sources familiar with the investigation said J&J has not billed the city -– or the mayor and his relatives –- for the electrical work as the state and federal criminal investigations into City Hall continue. Former federal prosecutor Robert Ray said even if taxpayers were not billed for the electrical work, crimes may have been committed. “Government officials are only supposed to receive one thing –- their paycheck -- not benefits and bennies in other forms,” Ray said, referring to the construction and electrical work at the private site. A spokesman for New Jersey State Attorney General Christopher Porrino declined to comment, as did spokesmen for the U.S. Attorney and FBI.